Frame your students’ artwork before they make it! R15287 Borders Paper features a variety of printed borders with blank interiors for students to illustrate their artwork. We asked students in a class to draw themselves and their favorite things. We got back some beautiful and colorful drawings! 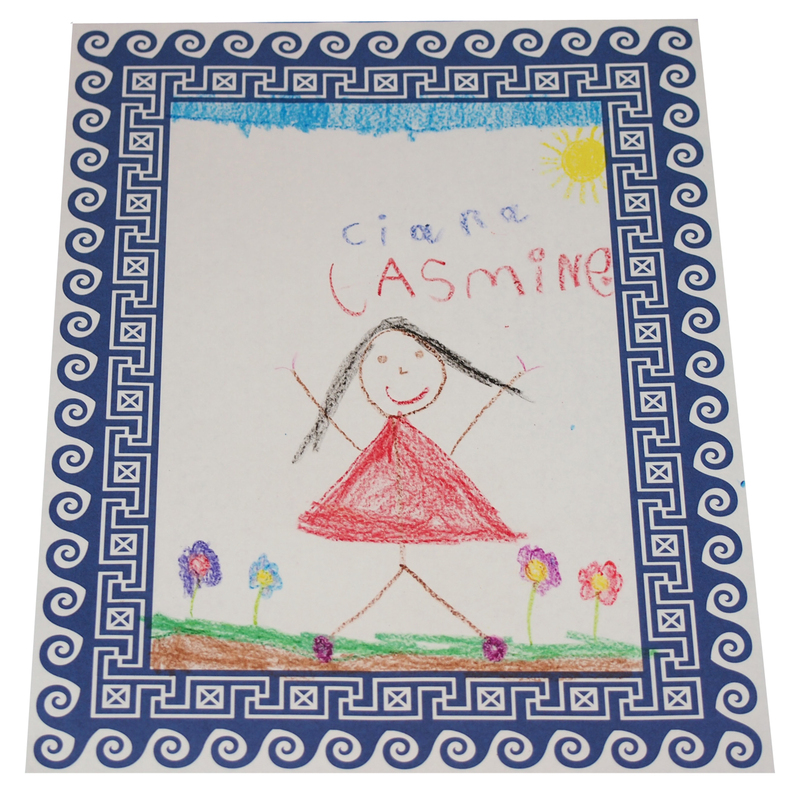 Each of the Borders Papers represents a historical era or culture through the thematic illustrated frames, so they can be used as supplements to social studies lessons. These two friends drew pictures of each other! This picture tells a story! 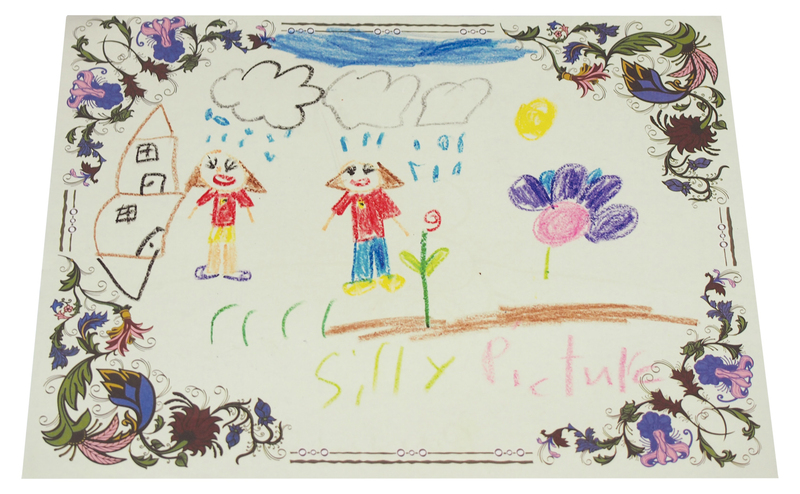 When asked about the picture, this student said it was silly because the friends were getting rained on even though there was sun on the other side! 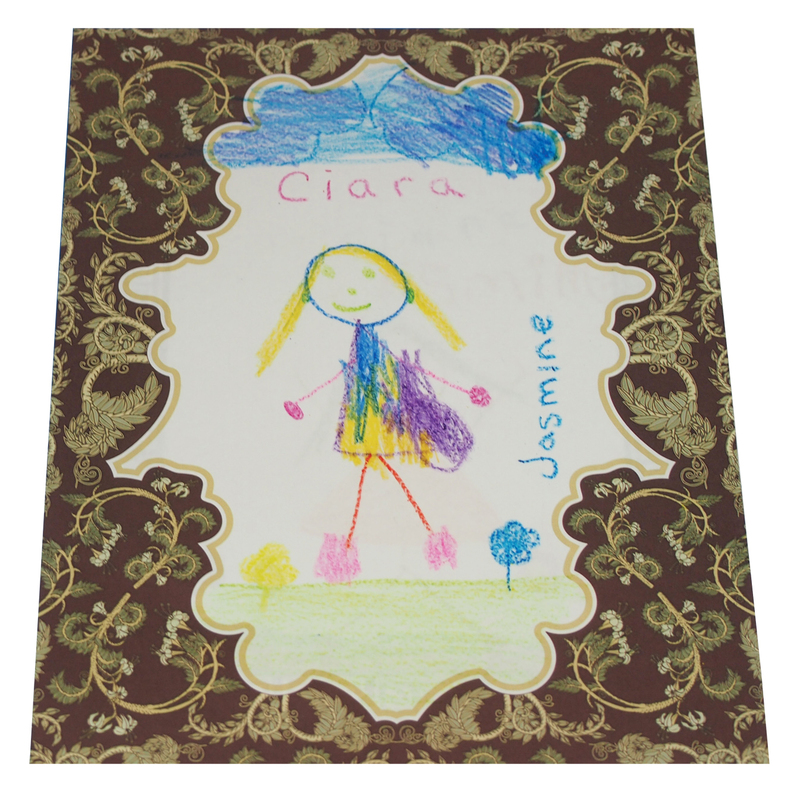 Use Borders Paper to frame short stories, poems, even photographs! This entry was posted in Art and tagged art, art frame, borders paper, decorative paper, frame, illustration, picture frame, r15287, scrapbooking, social studies by roylcoblog. Bookmark the permalink.